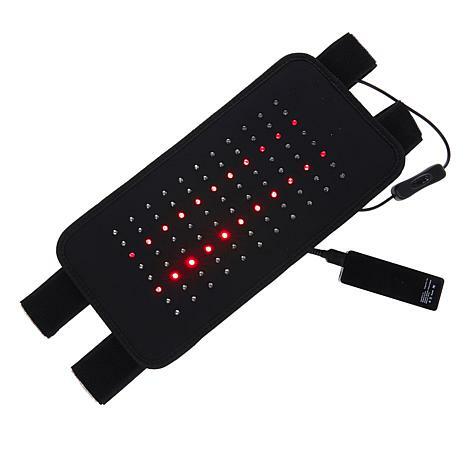 Take on minor aches, pains or stiffness with the DPL Flex Light Therapy XL pain-relief pad. It delivers light energy into body tissues and joints to help relax muscles and provide temporary relief of minor aches and pains such as those associated with arthritis. A larger surface area and more LEDs than the original design provide even more benefits for your enjoyment. Powered via any USB source, and with an included USB device charger, you can use this pad almost anywhere in your fight against aches and pains. Do not allow children to use or leave small children unattended close to unit. Not to be used by disabled, sleeping or unconscious persons. Do not use on infants. Consult your doctor prior to using, especially if you are pregnant, are taking drugs known to cause sensitivity of skin to light, have any suspicious or cancerous lesions, and/or recently had a steroid injection or use topical steroids. Individuals using aspirin, ibuprofen and other similar drugs for pain management or individuals with skin conditions may experience a mild "flare up" of their symptoms and should stop using DPL Flex and consult their doctors. Do not use the unit on an open wound, as heat may increase circulation and cause bleeding. Do not use over thyroid gland (the neck area) if the user has been diagnosed with or suspects thyroid problems. No clinical data is available to support use for patients with thyroid gland problems. This product contains neoprene. If you are allergic to neoprene, do not use this product without first consulting a physician. Do not use with liniments, salves or ointments that contain heat-producing ingredients as a skin burn could result. Used a little hand held one of my right hand carpal tunnel, took almost 2 yrs, but one day it was gone. Now , today with psoriatic arthritis in knee, hip and shoulder, sometimes so bad, my poor hips are screaming. I use this pad for the entire battery length and voila, I can walk up those stairs to my work room. Thank you ( work out those straps, better too long than too short ) And learn what and what NOT to eat. Ive been using this for 2 months on my low back just before bed, I found it relaxes my muscles so now Im getting better sleep.I think they should give you shorter straps for legs or petite people. The excess strap was in the way, so I made my own. Really worked for me. Lessen the pain. Didn't come with Portable Charger which you really need. Love this! Great pain relief and healing. I recently bought this and I love it. It works great. 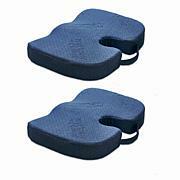 Use it for arthritis pain in my shoulders, back, knees, ankles and wrists. Love that it's flexible around my shoulders and wrist. The charger is great too that makes it portable. Also you using it on my senior dog for arthritis in his lower spine and hips and can see visible improvement with him too. HSN's price is fantastic. Highly recommend this for anyone needing relief from pain. My son uses this on a daily basis for his aches and pains from sports. Its the best thing to warm up his muscles.